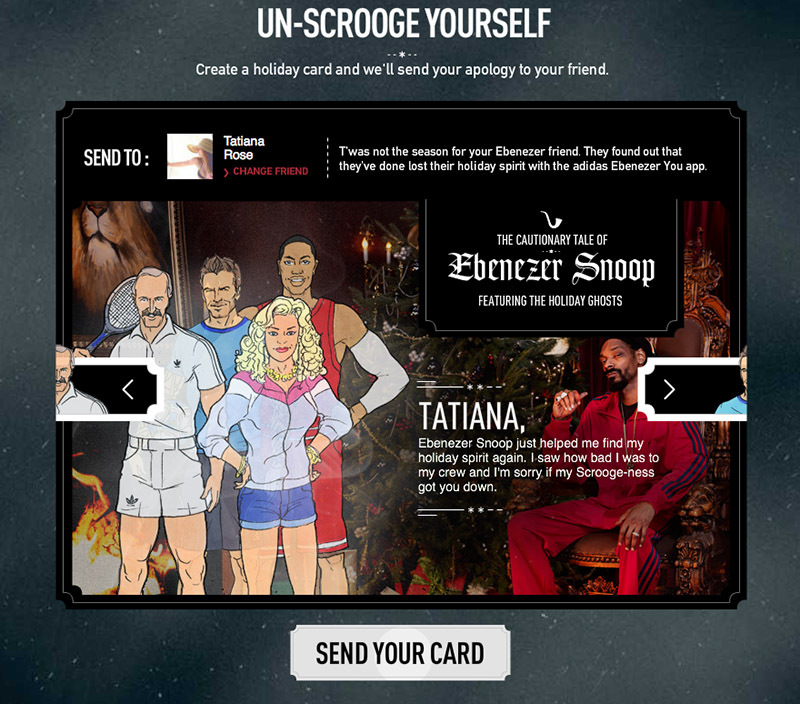 If It's Hip, It's Here (Archives): Adidas Launches Christmas Campaign With Snoop as Scrooge and An Interactive Facebook App That Lets You Un-Scrooge Yourself. 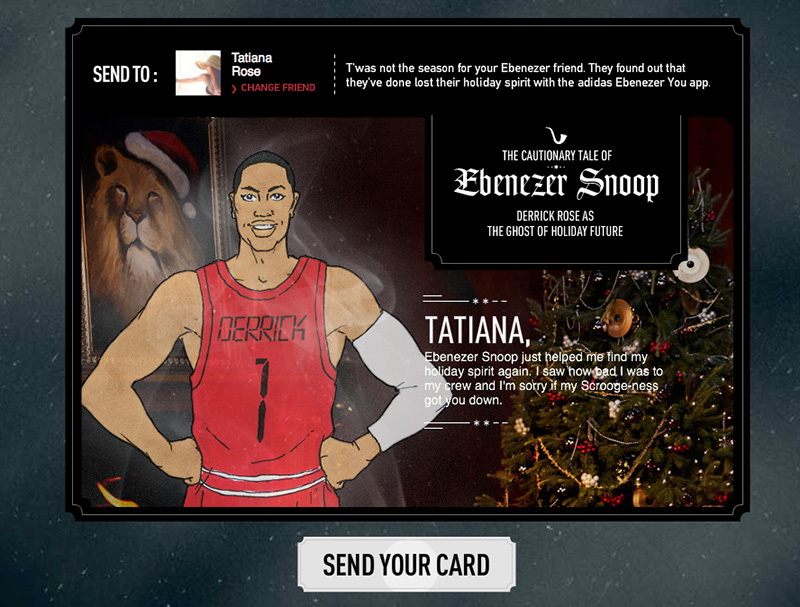 Adidas Launches Christmas Campaign With Snoop as Scrooge and An Interactive Facebook App That Lets You Un-Scrooge Yourself. adidas has launched its pioneering Holiday Campaign for 2012, enlisting the help of some of the world’s finest sporting and cultural icons, to turn your social media content into a potentially timeline-changing classic Holiday Tale. 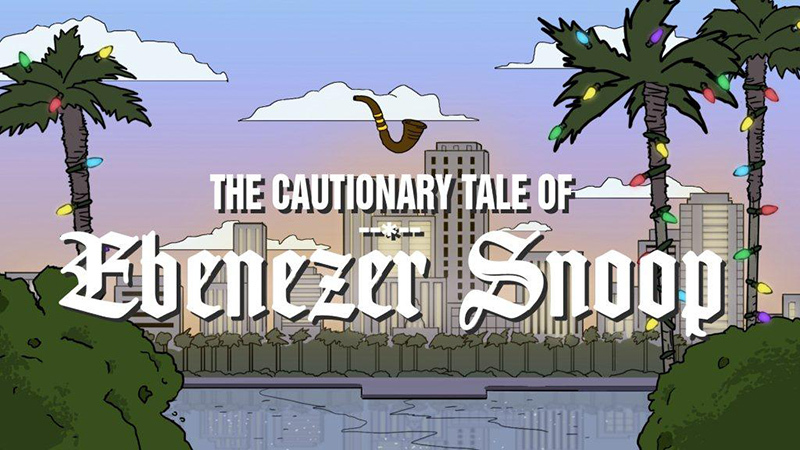 At the heart of the campaign is ‘The Cautionary Tale of Ebenezer Snoop’ online film (shown in this post), offering you the opportunity to follow a digital journey to find and share your own Holiday Spirit. 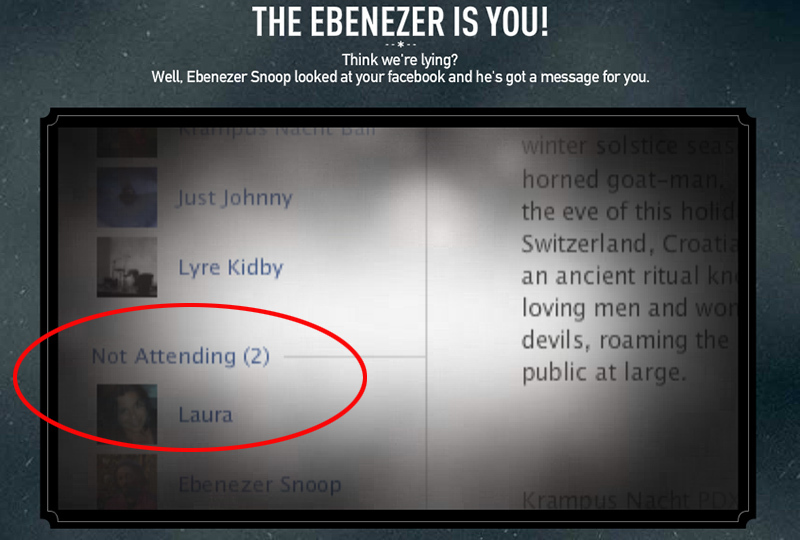 As the film closes, you are invited to find out if you are an Ebenezer, and if so, the chance to redeem yourself with an innovative Facebook app (screen grab shown below). The film features global music heavyweight Snoop Lion alongside skateboard OG Mark Gonzales escorting viewers into the illustrated world of legendary Beavis & Butthead artist JJ Sedelmaier. 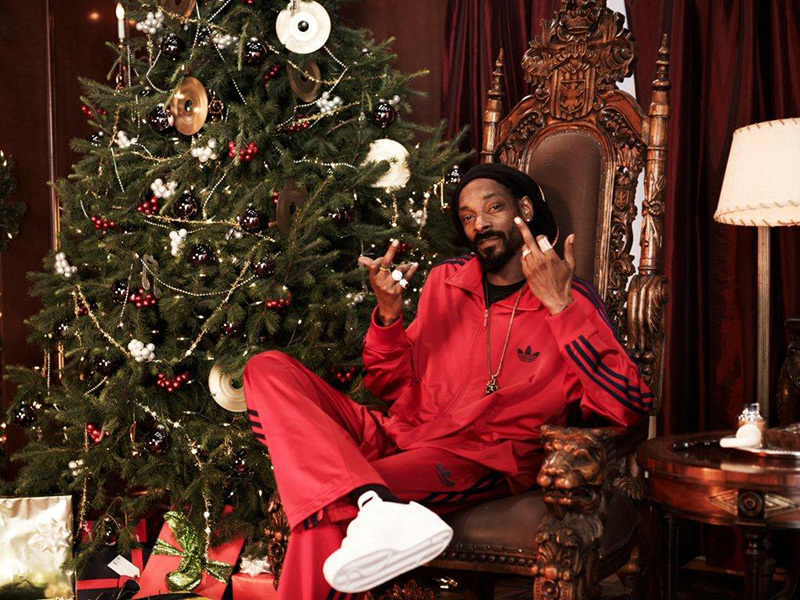 ‘The Cautionary Tale of Ebenezer Snoop’ follows the path of the classic Holiday story, seeing Ebenezer Snoop confronted by the Ghosts of Holiday Past (Stan Smith), Present (David Beckham) and Future (Derrick Rose & Rita Ora), as well as a host of other Global adidas stars that keeps viewers going back to find more. As you continue on your journey through the tale, you return to Facebook to create your own story. 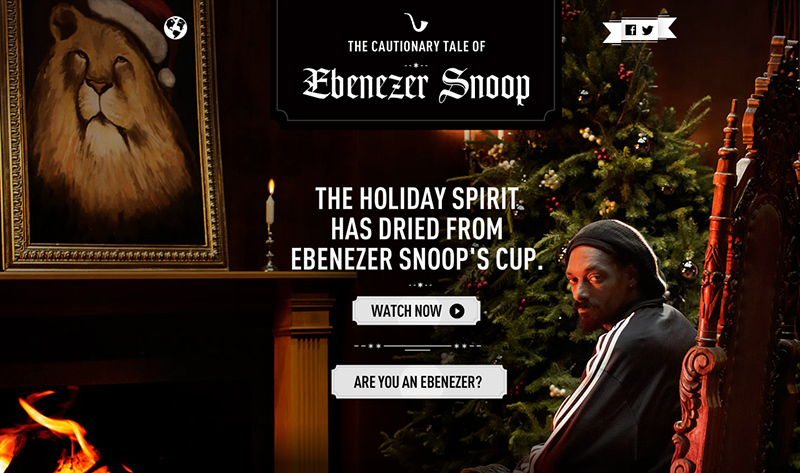 The adidas Holiday Facebook application produces for you, the user, a personalized journey that mirrors the structure of the Ebenezer Snoop film content. Snoop might not be the only Ebenezer. By aggregating your user data around certain Facebook activities such as comments, birthday well-wishes, & event responses, adidas creates your own uniquely tailored Ebenezer film (they choose all the times you declined invites, didn't respond to posts or didn't acknowledge friends' brithdays to prove your 'scrooginess'). The app pulls in these features from your Facebook timeline, proposing what your digital life could look like if you don’t mend your ways. The level of your online interaction determines the film which your journey takes – the storyline and content directed by your digital life. At the end of your personal journey adidas offers you the opportunity to redeem yourself by sending a Facebook greeting card featuring JJ Sedelmaier’s campaign illustrations to friends. 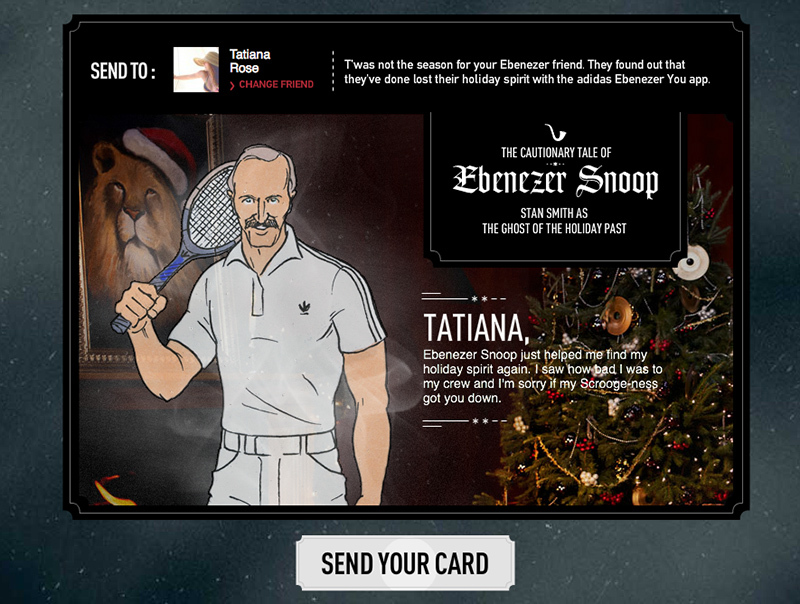 The gift which accompanies the card is dependent on your Ebenezer levels – one possibility is a 15% e-commerce discount. 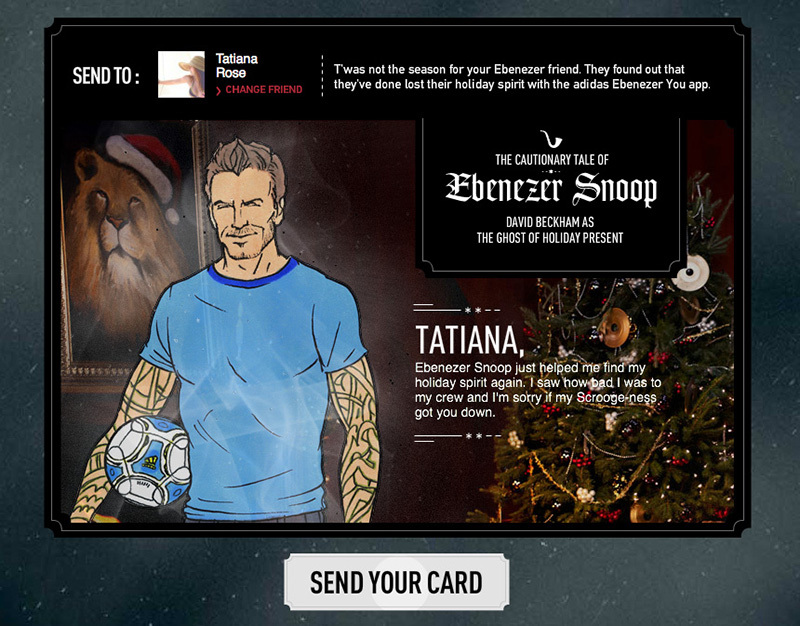 A truly interactive online campaign working across social media, adidas recognises the importance of the digital world to its consumers and presents a complete Holiday gift-giving solution to its fans. 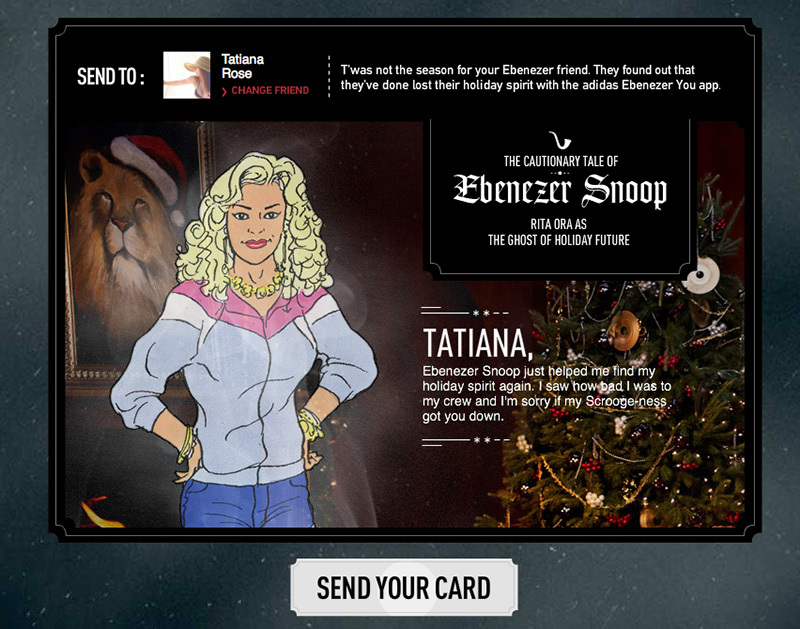 “The Ebenezer Snoop Holiday Campaign is the most user-specific app adidas has ever created, examining consumer behaviour to produce a truly personalised online experience. There is so much noise during the holidays, we’ve created a simple yet effective app to cut straight through. 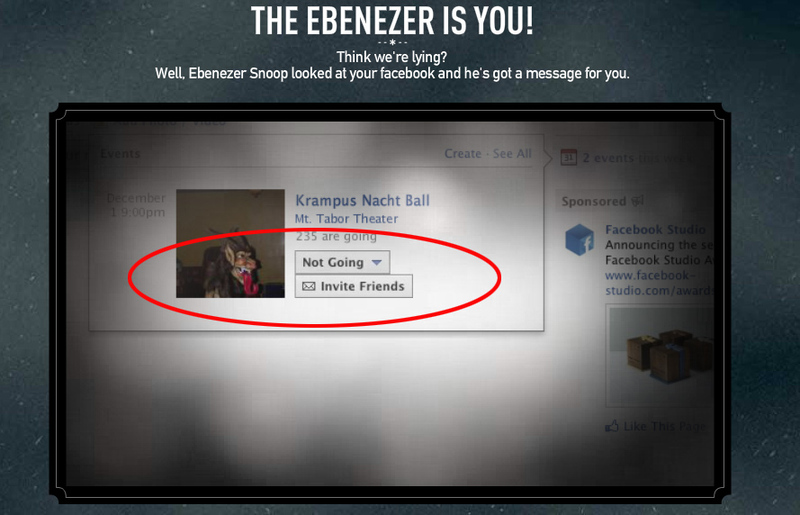 The Ebenezer Snoop Facebook app aggregates your personal Facebook information to produce a film entirely for you. Using the Timeline we are suggesting how your timeline could look if you don’t mend your ways!” -- Gabriel Jaffe, Senior Digital Communications Manager, AG. The adidas Group is one of the global leaders within the sporting goods industry, offering a broad range of products around the core brands adidas, Reebok, TaylorMade, Rockport and Reebok-CCM Hockey. Headquartered in Herzogenaurach, Germany, the Group has more than 46,000 employees and generated sales of € 13.3 billion in 2011.